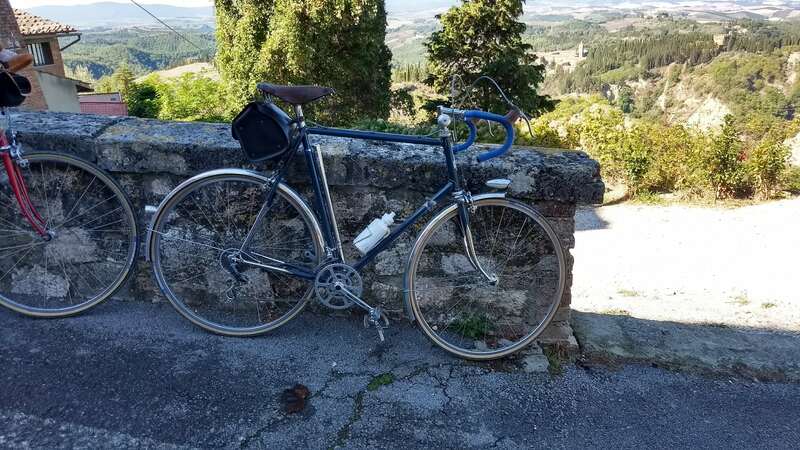 What brand could this Clements made frame be? Merckx? Post subject: Re: What brand could this Clements made frame be? Merckx? I reckon the Tange No5 Falcon Majorca suggestion is the right one. My Majorca (2nd picture) Mine is pretty much equipped exactly as per the catalogue. The frame does look just like yours, with the exception of forks which are identical but chromed and it looks as if they were sprayed half way down the legs. I'm surprised to see how well specced the Majorca is ... 600 is not exactly an entry level groupset! Can I ask a couple of questions please? What format does the serial number take? What colour is it, I'm getting a bit of colour distortion, is it pearl white? I'll check the frame number and report back, probably at the weekend. And yes mine is pearl white, it's in the list to be restored along with my Falcon pro but it will probably be next summer now. Much appreciated for all this. Would you be able to mic the seat post size too? The falcon link is very useful, from the same site there is an '83 catalogue where the Majorca has 700c wheels. So I'm seeing this frame set as a Falcon Majorca, an Elswick Stag and also a Barry Hoban Tour de France, also all tange. I wonder what else it is. All these have the same Shimano 600 spec. I can't find any stock bikes at this size, Could this be a special order, did the Falcon factory offer this option. That serial number suggests it's a Miki frame, built in the thirteenth fortnight of 19x9, where x would be a 7, judging by the looks of the frame. You're welcome. And should you be disappointed: don't be. This is nice stuff. Miki build quality was excellent, as far as I've been able to judge. WRT the branding: that might be a difficult question to answer. Miki built frames for quite a number of brands. An internet search should bring up a few. The frames pictured above were made for Union, a Dutch brand (and use a 26.8 seat post, BTW). The Miki-built Sapporo was the second from the top model in the Union line-up at the time, just below their professional model (the coveted "Rini Wagtmans", which supposedly came from Gianni Motta). I'm not disappointed, as you said it's a good well made frame out of good steel. ... there is no getting away from this regardless of the name put on it. I've spent the last few evenings painstakingly removing the light pitting on the splash areas with emery and wire wool and going over the whole frame to get good bare metal, so am appreciative of the build quality (I'll soda blast the lugs). Glad to hear it! And I'm really looking forward to whatever you're going to build it into. FWIW, the bike pictured above turned out pretty much as I hoped it would: a nimble but comfy credit card tourer, without the twitchiness of a true racer but also without the dead feeling that unloaded touring bikes often have. 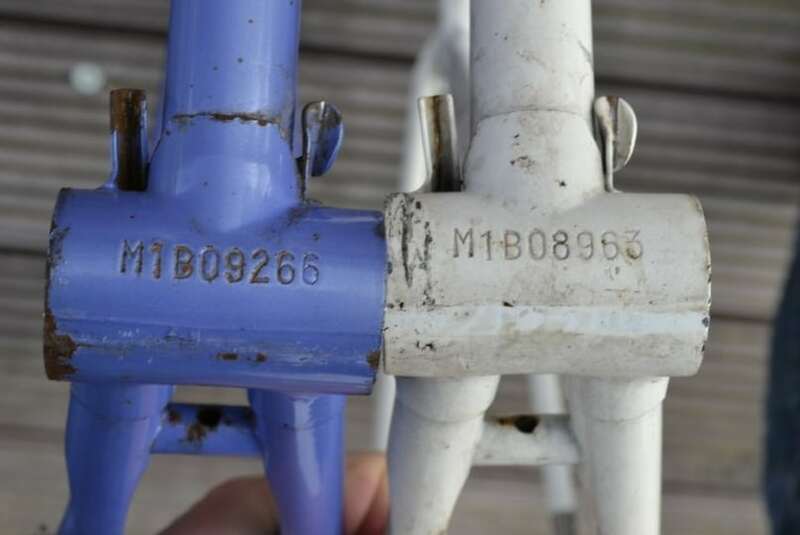 Thanks for that non-fixie, very enlightening, I'dd always assumed these frames were made by just for Falcon brands so I'll be checking both my Tange Falcon frame numbers this weekend as I expect my Pro and Majorca are from the same lineage.